Huawei has announced that by December 2013, it had signed a total of 241 LTE contracts worldwide. The company further adds that it has been engaged in 110 of the 244 commercial LTE networks already deployed worldwide. [Bali, Indonesia, Nov28, 2013]: Huawei, a leading global information and communications technology (ICT) solutions provider, recently helped successfully demonstrate a Turbo Button solution for dramatically boosting delivered LTE speeds with a simple push of a button on a mobile app. [Shenzhen, China, Nov7, 2013]: Huawei, a leading global information and communications technology (ICT) solutions provider, and Polish mobile operator P4 recently announced an agreement to deploy LTE antennas as part of a nationwide mobile broadband (MBB) network rollout. [Shenzhen, China, October 28, 2013]: Representatives from China’s Ministry of Industry and Information Technology (MIIT), which sets policies for mobile broadband spectrum regulation in China, recently toured a Huawei innovation lab for LTE TDD 3.5GHz solutions. 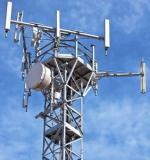 Huawei has announced that it had helped build a 3.5GHz LTE-A trial network in Japan. A recent demonstration of the network showed it could support a max 770 Mb/s download speed by making use of LTE-A technologies like Carrier Aggregation (CA), Coordinated Multi-Point (CoMP) and Cloud BB (Baseband). Philippines’ wireless services provider Smart Communications has recently conducted LTE-Advanced trials in Metro Manila and Davao City. According to operator, Smart's test facilities achieved speeds of up to 209.66 mbps at trials held first in Makati City in cooperation with network equipment provider Huawei Philippines. Shanghai, China, July 15 2013: Huawei, a leading global information and communications technology (ICT) solutions provider, recently released an LTE TDD small cell micro solution for HetNet at the 2013 Mobile Asia Expo in Shanghai. Huawei recently announced a CA (Carrier Aggregation) total solution at the company's annual Global Analyst Summit in Shenzhen. According to company, the solution extends the capabilities of normal intra-site CA to also support inter-site and heterogeneous CA to provide a seamless user experience. Huawei and China Mobile (CMCC) recently successfully completed Flash CSFB to GSM field test on a live LTE TDD network. According to Huawei, its Flash CSFB solution requires less time to complete end-to-end call setups compared with traditional CSFB and is capable of handovers to GSM and UMTS.